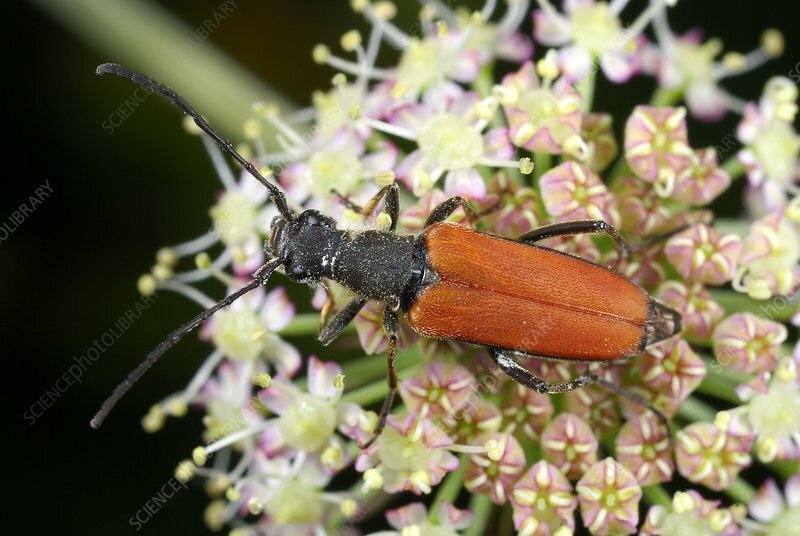 Longhorn beetle (Anastrangalia sanguinolenta) on flowers. This species of longhorn beetle (family Cerambycidae) is found throughout most of Europe and the Near East, where they mostly inhabit coniferous forests. Photographed in Poland.